Who works at Moonshine Drinks? Chairman of Moonshine Drinks, Robert Constable-Maxwell, has experience in the brewing and drinks industry, and is a strong supporter of his local community in Leicestershire. His first career appointment in the brewing industry came in the early 1960’s, based at Burton on Trent. His career progressed holding roles as Managing Director at Walker Cain, in Liverpool which subsequently became Tetley Walker. CEO of Ind Coope – one of the UK’s most famous brewers, before taking on the role of Marketing Director at Allied Breweries UK. During that career, he incorporated attendance at both Oxford and Harvard Business Schools. He also represented the UK Brewing Industry in Brussels as a member of CBMC - the Common Market Brewers Association. Robert was appointed High Sheriff of Leicestershire from 1991 to 1992, before being appointed Deputy Lieutenant of Leicestershire in 1994. Robert was awarded an MBE in The Queen’s Birthday Honours in 2014. Ian is the engine room of Moonshine Drinks, but like most of us, Ian’s career began in another industry, Mechanical Engineering, where he served a lengthy apprenticeship with The MoD, at the Royal Ordnance Factory in Nottingham. Eventually Ian left engineering behind, but it would come to serve him well as he ventured into running his own businesses. 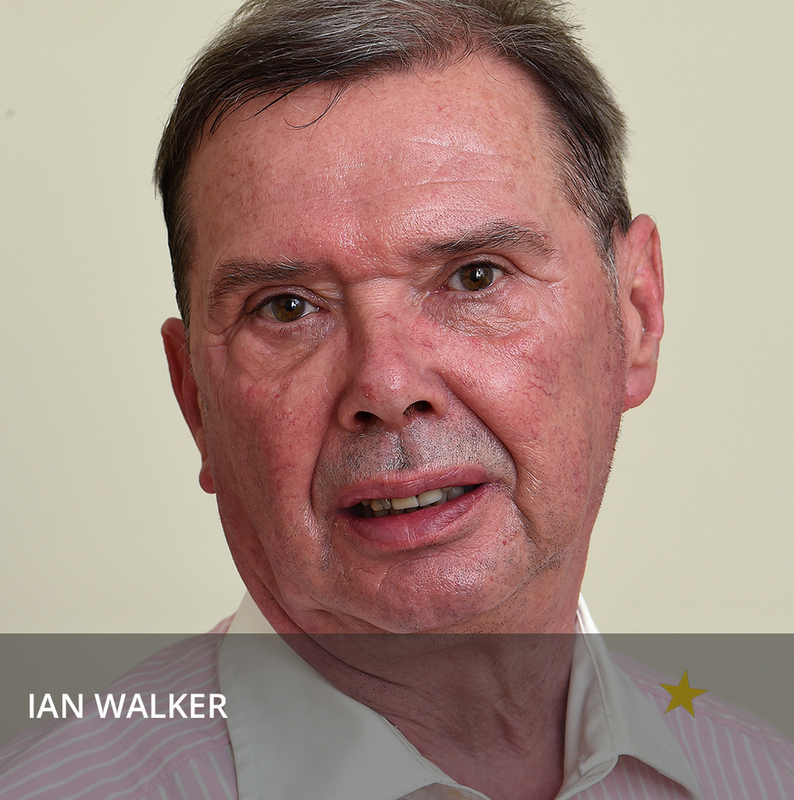 After leaving the Royal Ordnance Factory, Ian started his career in Retail, managing a number of well known concessions both regionally and nationally. Ian has spent the last 40 years running a portfolio of businesses. One of his most recognisable and successful ventures was the Robin Hood Centre, or known to many as the Tales of Robin Hood in the heart of Nottingham city centre. Today Ian runs a successful business portfolio, but Moonshine drinks remains the star of the show. He oversees all the main elements as CEO, but of course is completely hands on in every aspect of the operation from production through to packaging design and supporting the team. He has an advisory role to the Prince’s Trust spanning the last 20 years. Ian lives in Nottingham with his partner and has 2 children and 2 grandchildren. Will has been working at Moonshine Drinks since May 2015, he joined the team initially as an intern as part of his University Business Management course and is now working part-time in between his studies. He previously dealt with the Moonshine social media accounts and has really worked his way through the ranks in the past two years. He is now involved in almost every aspect of the company including sales, digital marketing, brand management on top of his general office duties. Will lives in Nottingham, he’s a keen jazz musician and plays the saxophone in his spare time for weddings, charity and community events.